The Council of Europe wants to protect children from violence, especially from sexual violence and sexual abuse. One of our conventions, the Lanzarote Convention, focuses on this form of violence. 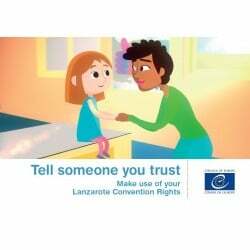 In order for children to understand what this convention does for them and to understand the key messages in it, the video “Tell someone you trust” was prepared in partnership with a specific group of children. 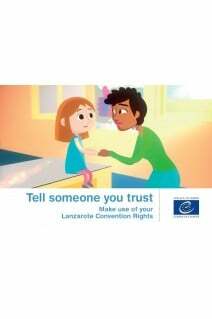 Focusing specifically on sexual abuse in the circle of trust and also on some of the Lanzarote Convention’s key messages, the Council of Europe video “Tell someone you trust” offers children aged between 9 and 13, the possibility to understand through one girl’s story, what sexual violence is and how children can be protected from it. This booklet explains the key messages that are in the video.